Dr. Umesh Nandani Jindal, MBBS, MD(Obs & Gynae) is Director & Infertility specialist at Jindal IVF & Sant Memorial Nursing Home, Gynae & Fertility Research Centre. She is a pioneer in IVF treatments and research with over 30 years of experience. 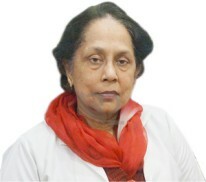 After completing her graduation from Government Medical College, Patiala in 1977 & obtaining a post-graduation in Obstetrics and Gynaecology (with honors medal), from the Postgraduate Institute of Medical Education and Research (PGIMER), Chandigarh in 1980, Dr. Jindal subsequently served as a senior resident and as an Assistant Professor in the WHO (CCR program) at the same Institute. She worked as a Fellow in Maternal fetal medicine in 1982-83 at the University of Washington, Seattle, USA. She received her IVF/ICSI training at the Institute of Human Reproduction Kolkata, India and Reproductive Science Associates, Kansas City, USA. She has also served as a guide for various trainees and research fellows. She was the first one to start specialized infertility services in Chandigarh including In Vitro Fertilization (IVF) & Intra Cytoplasmic Sperm Injection (ICSI) and several hundred babies have been born with these techniques. Her center in Chandigarh, Punjab (Jindal IVF and Sant Memorial Nursing Home) provides comprehensive infertility services including endoscopy, IVF– ET, ICSI, sperm bank, embryo cryofreezing, ICSI with testicular sperm and assisted hatching with excellent results. Indian Menopause Society She was the founder of the Chandigarh Obstetrics & Gyanecology Society and has held important offices in regional & national societies. She is also a faculty member for many national and regional conferences, has delivered numerous lectures & chaired scientific sessions. Her publications include several research articles published in national & international journals and presentations at scientific conferences in India & abroad. She is a reviewer for the international journal of tuberculosis. ***She is able to diagnosis my problem. she have a good experience. she is good in her profession.She is good to be recommended to friends and family.